We still do not know for sure that Apple will launch an iPad Mini, although there have been a lot of rumors pointing towards a new samller tablet from Apple which is expected to be announced this month on the 17th of October. 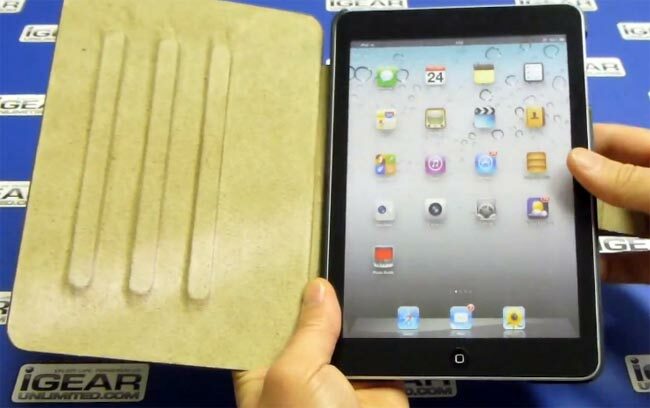 Now own case manufacturer has decided to make a case for the new iPad Mini, obviously based on all the rumors about the devices size, and you can see the case in action in the video below, along with a mock up of the new iPad Mini. We wonder why this manufacturer has decided to make a case, on a product which has yet to be announced, and may not even share the same dimensions as their case in the video. It will be interesting to see what the new iPad mini is like when it is officially announced, whether it will look like the one in the video remains to be seen.